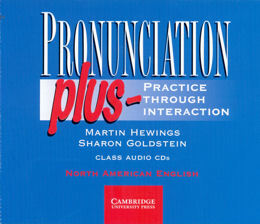 Pronunciation Plus helps intermediate-level students of North American English improve their pronunciation through a variety of stimulating listening and speaking tasks that address all of the important aspects of English pronunciation. * Nearly halfof the tasks in the book are done with a partner or in small groups, giving students the opportunity to interact with their classmates while practising their pronunciation. A strong emphasis on communicative activities allows students to talk about<anied by fluency activities and offer a variety of approaches to vocabulary development.through improvisations around the business themes.